In this article, we will learn a new way to use Enum, for implementing the Strategy design pattern. Strategy pattern is one of the famous pattern, which takes advantage of polymorphism, to remove switch cases and strive for the open-closed design principle. Formally it encapsulates related algorithm, known as strategy and make them interchangeable. So your Client, also known as Context, can use a different algorithm or strategy, without any modification. One of the key advantages of Strategy pattern is it's extensibility, like introducing a new Strategy is as easy as writing a new class and implementing Strategy interface, with Enum, instead of creating a separate class, you create a separate Enum instance, which means less number of classes and full benefit if Strategy pattern. Btw, if you are new into the world of design pattern then I suggest you learn more of them. They not only help you to solve common coding problems but also helps you to write better and flexible code. If you want some help in learning them, Java Design Patterns - The Complete Masterclass can be used as a companion. It's one of the better course on Udemy on this topic. Here is the UML diagram of Strategy pattern in Java, Why you should draw UML diagram? because this is the best way to remember and understand how a design pattern works. In fact, this is the standard ways to communicate your design to your fellow developers and team members. In this diagram, I have explained the strategy design pattern using sorting algorithm like Bubble Sort, QuickSort, Insertion Sort, and Merge Sort. For our code example, you can replace Strategy interface with Match, and sorting strategy to T20, OneDay and Test Matches. In this tutorial, we will see an example of implementing a Strategy pattern using Java Enum, I would use a sporting example. If you are a cricket fan, like me, you are going to connect with this article, but if you are a Soccer or Tennis fan than let me explain a bit about the example. In Cricket, there are three popular formats T20 (20 over match), One day(50 over match) and Test(5 days match). If a player, plays all three format, he needs to adjust its batting strategy to be effective. For example, T20 is all about scoring quickly, while One-day international games give a bit of time for setting and then scoring. In contrast of shorter version, Test match is all about grinding i.e. occupying the crease and making sure your opponent gets tired, before scoring briskly. In our Strategy pattern example, we have used an Enum to define different batting strategy. We have defined a default play() method and since Enum can override methods, we are overriding it on every instance i.e. on T20, ONE_DAY, and TEST. Our context class, which is named as Player also has a play() method, which delegates to play() method of configurable Strategy. 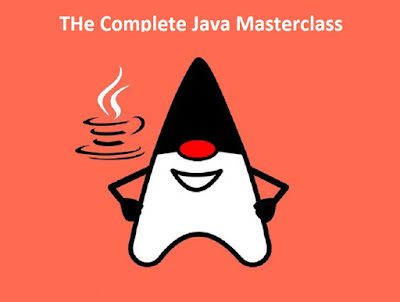 Btw, if you are not familiar with Enum in Java and it's essential features like overriding methods, I suggest you join The Complete Java Masterclass course on Udemy. It's one of the most up-to-date course to learn Java and recently updated to cover the latest Java version as well. Here is full code example of implementing Strategy design pattern using Enum in Java. If you are coding in Eclipse IDE then you don't need to do much, just select and copy this code, select the Java project you are working in Eclipse IDE and paste it. Eclipse will take care of creating the right packages and source file with a proper name like the name of a pa public class. This is the quickest way to try and execute Java code snippet from the internet in your IDE. Also remember, the Strategy pattern is a good example of Open Closed Design Principle of SOLID object oriented design principles coined by Uncle Bob in his classic Clean Code book. * Player class, which uses different Strategy implementation. * One day international or Test match. That's all on How to implement the Strategy design pattern in Java using Enum. You can see that it's a lot easier to implement Strategy pattern with Enum, you not only reduced the number of classes but also achieves extensibility and flexibility of Strategy pattern. On the downside, Yes, you need to change your tried and tested Enum every time, though by inserting only new code, it still violates Open Closed principle a bit, which advocates that new functionality should be added by writing new code, rather than modifying existing code. P. S. - If you are looking for some free course to start learning design patterns, there is a good one on Udemy called Java Design Patterns and Architecture by John Purcell. It doesn't cover all the GOF patterns but still, it's good to learn all the important ones and architectures like MVC. Don't you think with this approach we are going back to if-else way. The whole purpose of Strategy pattern is to not to touch existing class and add new class (Open for extension closed for modification). With this approach we are essentially back to modifying the same class, each time I need to add extra behaviour. @Anonymous, you are right, it does violate the open closed design principle, because if you would like to add a new strategy let's say for 10 over match, you have to modify existing class i.e. the enum itself. So in true sense it's not really the GOF Strategy pattern, which allowed you to add new strategy without modifying existing, already tested class. This is specifically good on cases where Strategy are close related to each other and known in advance e.g. various compression strategy, various comparison strategy. @gusAbove: The only problem are enums residing in a single compilation unit. You edit this file, true, but no need of messing in other enum instances. Lets be honest: have you ever added new class to the project code without recompiling whole module/project? Player class doesn't change -and this is what's most important - from the client's perspective nothing changes here. Besides, making strategies enums prohibits bad - smelling extending of strategies, which is excellent. I think the overall idea is worth considering. @Jan nowak, this still voilates open closed principle, which is the main aim of using Strategy pattern. Though its good solution in some cases but we cannot call it strategy pattern. Easy to make this compatible with the Open-Close Principle really. Then change the constructor of the Player class and the setStrategy methods to take the BattingStrategy interface.